Put your driving skills to the test for a once in a lifetime experience at Esso’s Synergy Race Off at ION Orchard. On the weekends of 5-6 September, and 12-13 September, get behind the wheel of our state-of-the-art racing simulator and feel the Esso Synergy adrenaline rush. 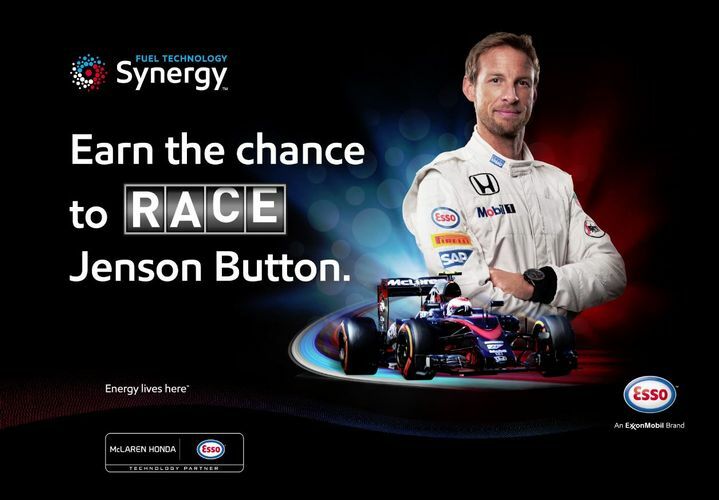 Be one of the 10 drivers to clock in the shortest times, and you’ll get a chance to race against McLaren Honda’s Jenson Button at the finals event on 16 September!